Recently I took a road trip form Melbourne to Adelaide and while there were many, many important reasons for the trip my absolute highlight was getting the chance to stop at *almost* every single second hand furniture store and nick-nack market on the way! 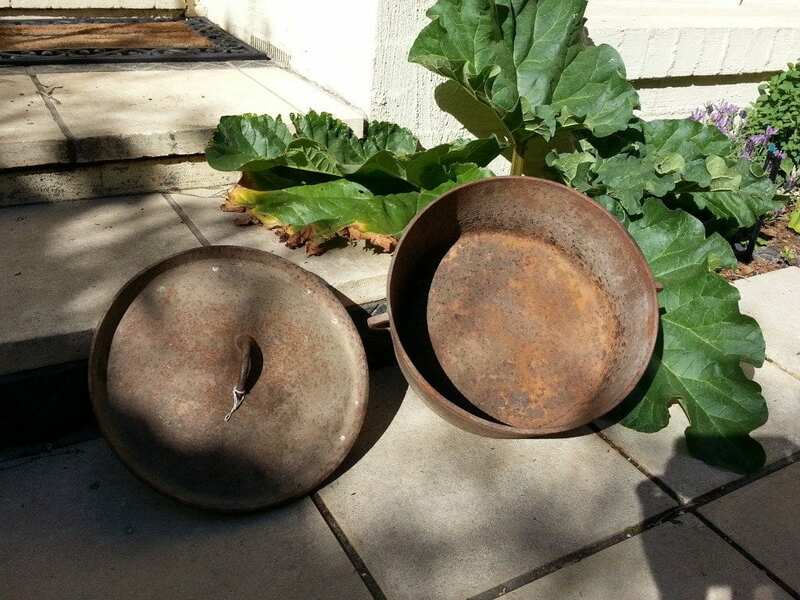 Though the eight-hour drive soon became significantly longer I won in the end when I unearthed a myriad of amazing old pots and pans in a long forgotten corner of a pickers market. 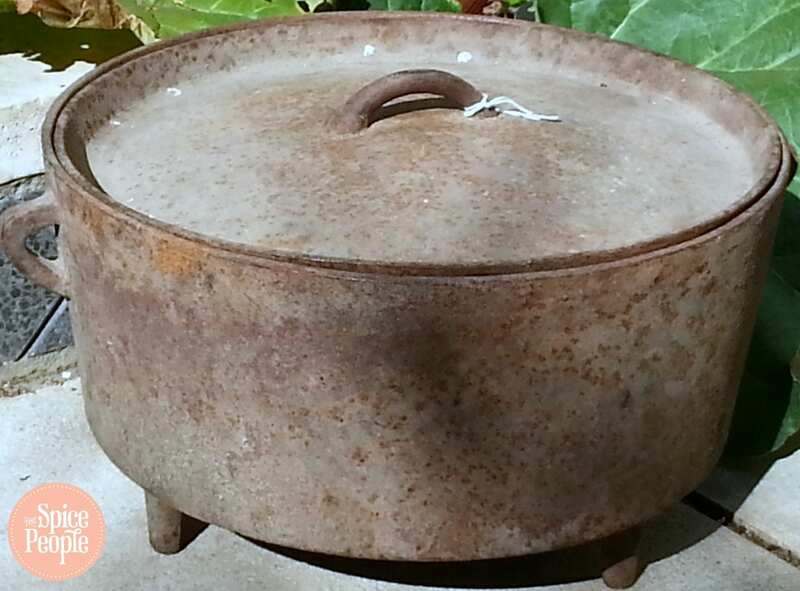 The best was yet to come though when I discovered a beautiful cast iron Dutch oven nestled amongst the pots; at $40 there was no way it wasn’t making the trip home with me. I have a pretty serious addiction when it comes to taking on second, third and fourth hand items so when we got home it took me hardly any time to get scrubbing and bring the oven back to within reach of its former glory. 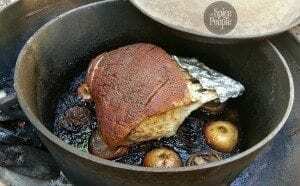 The pictures should go some way to explaining the concept of a Dutch oven but the basics are a large, enclosed pot that doesn’t allow any air to enter into it and doesn’t need liquid for cooking. There are a couple of options when you’re cooking using a Dutch oven but our experimentation (and Googling) has told us that placing it over coals and leaving it for 12-24 hours will turn almost anything into a feast fit for kings. You can also pop it in your oven if you don’t have 24 hours to spare, though I would urge you to give it a go at least once! Assuming you’ve not all disappeared out the door to find your own slice of second hand cooking heaven then have a look at the recipe for our first of many amazing meals made in our new but old gadget. Don’t worry, we’ve even got the flavours sorted out for you; just pop over to our online shop and take a look at our BBQ Master spice kit which includes all the spices to fulfil your summer BBQing needs. There are few things in life more fulfilling than bringing an old item back to life; I urge you to go out and do the same thing! Curing and seasoning the dutch oven ready for use. 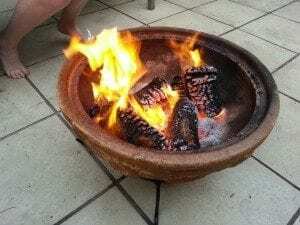 Using a fire pit (bought or homemade) place 14 briquettes into the base then add kindling and wood bricks before lighting. Then let the wood burn down for about 45 minutes or until the coals begin to turn grey. Place the Dutch oven over the coals with the lid on and leave for 1 hour to heat fully. Carefully remove the lid (It will be hot!) .You will see flakes of rusty iron on the base. Use a BBQ scrubber to gently rub over the entire surface to remove any loose pieces and sweep them up (with a wire brush). Oil the entire pan, including the lid and use a thick bunch of paper towel to remove any remaining residue. Re-oil the pot and lid. This time when you use paper towel to wipe the oven clean the towel should come up clean. 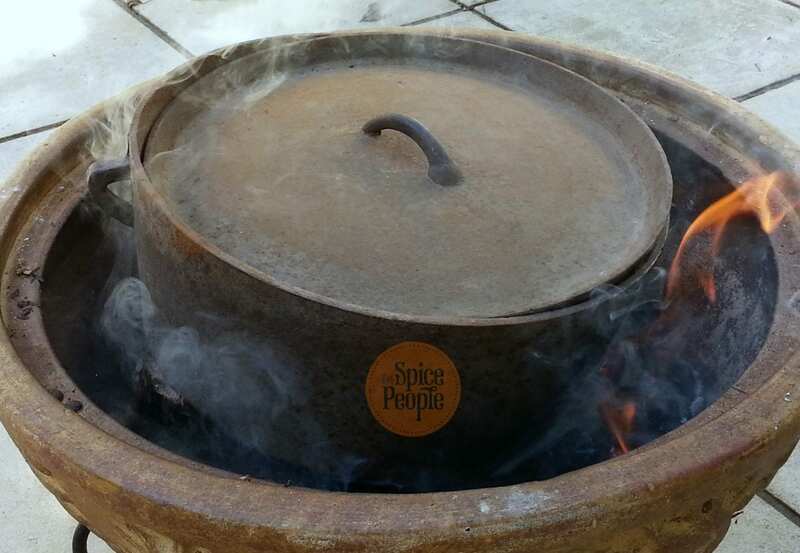 This means the pot is correctly seasoned and is ready for use. If the paper towel is still discoloured then repeat the above step as needed. Your Dutch oven is ready to cook! Now for the inspiration to get you started . Here is the first recipe we tried with our dutch oven. It was heaps of fun and so easy to do and the whole family enjoyed hanging around the fire afterward till the sun went down.